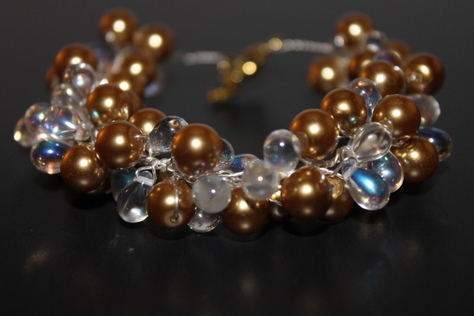 This beautiful Handcrafted Bracelet is made with clear crystal and gold glass beads. All pieces are designed by hand, so no two items are identical. That's the beauty of buying handmade. The length is 8 inches and is finished on each end with a silver-tone toggle clasp.